5:00 p.m. – 7:00 pm. From the writings of Aristotle and Galen to the 20th century skepticism of Popper, the history of science has been given shape by monumental achievements in writing. These books - Galileo’s Dialogue, Newton’s Opticks, or Lavoisier’s Elements of Chemistry and many more - have served as milestones which changed the course of human affairs. This event is FREE and open to the public. Register for guaranteed entry. 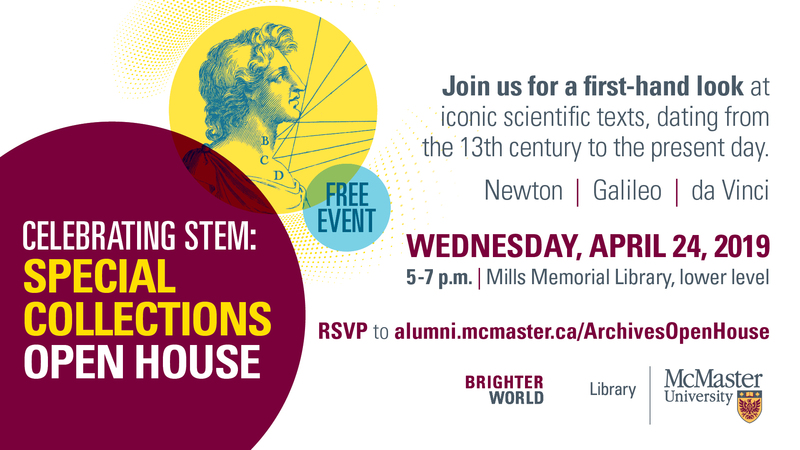 This event is part of a year of programming aimed at highlighting the ways in which McMaster University Library supports teaching, learning and research related to Science, Technology, Engineering and Math (STEM).